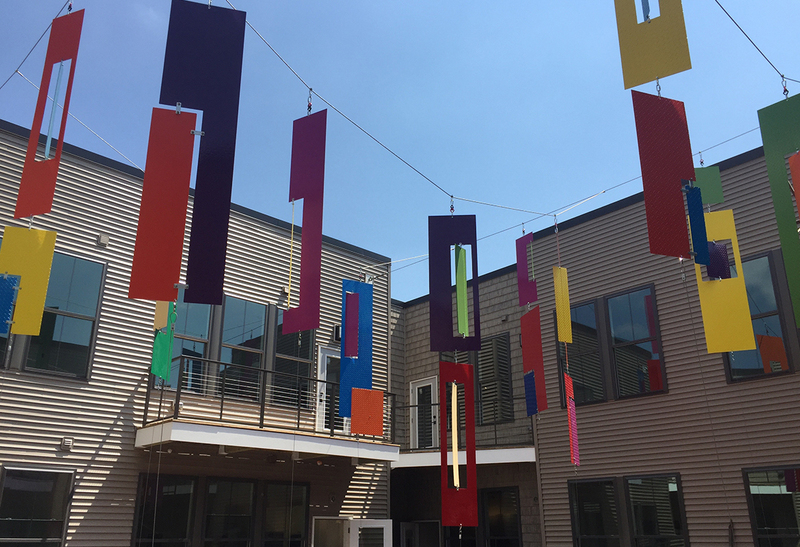 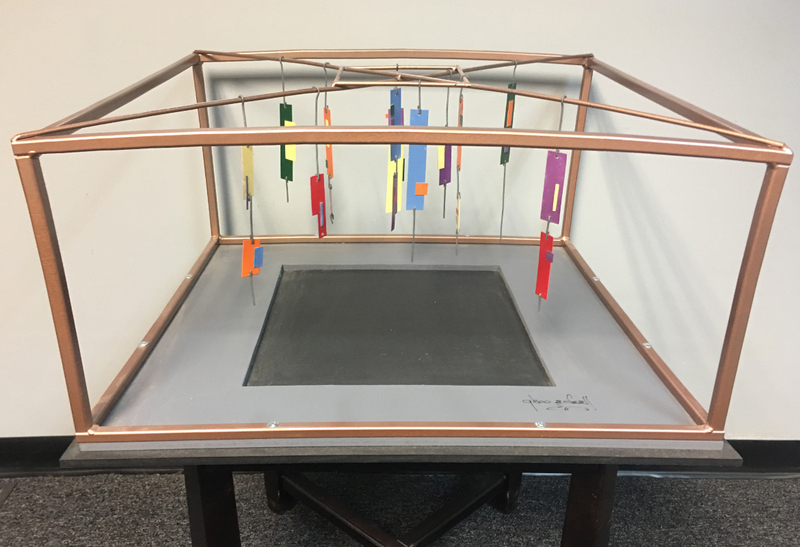 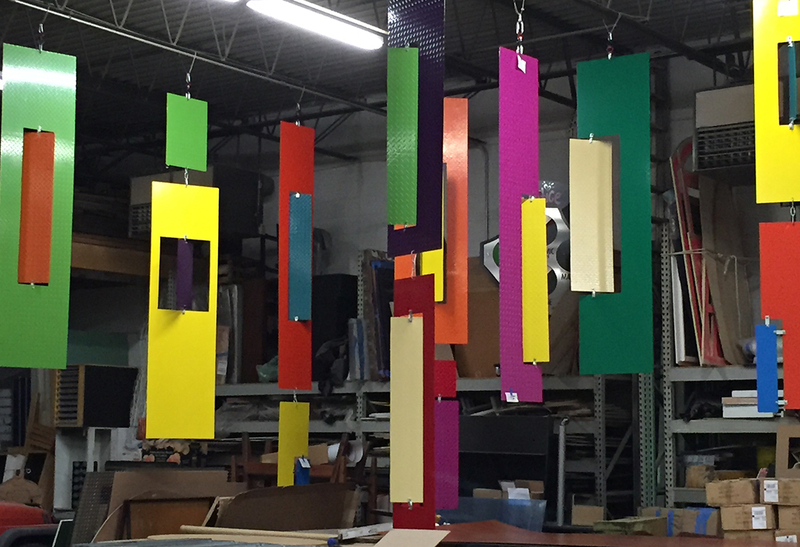 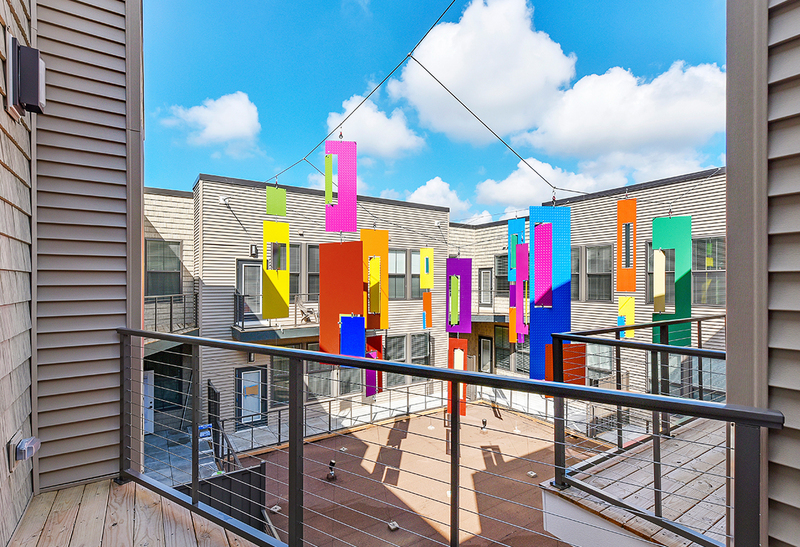 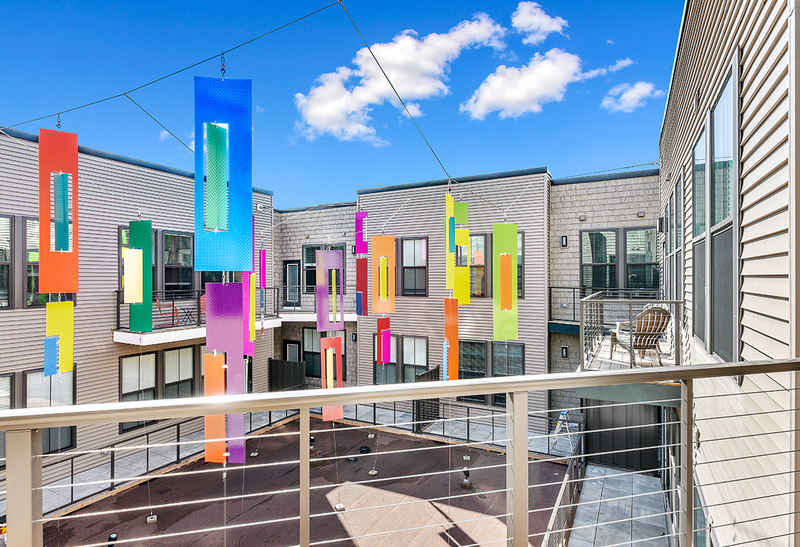 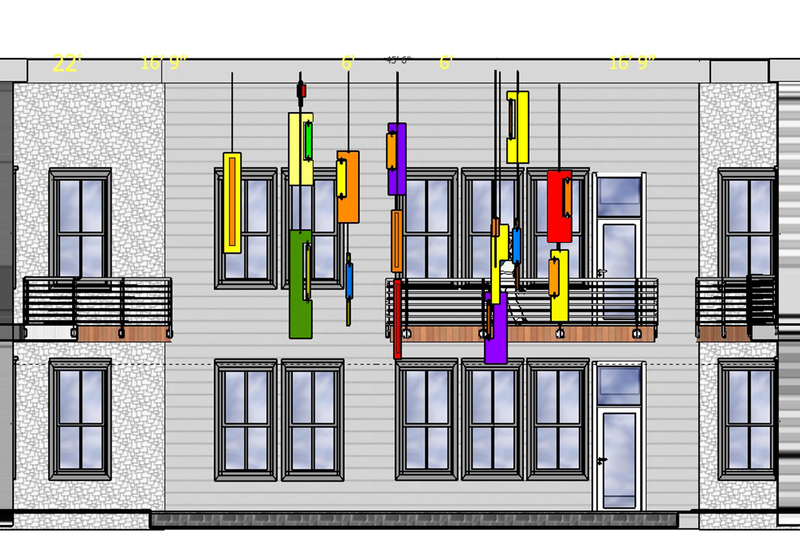 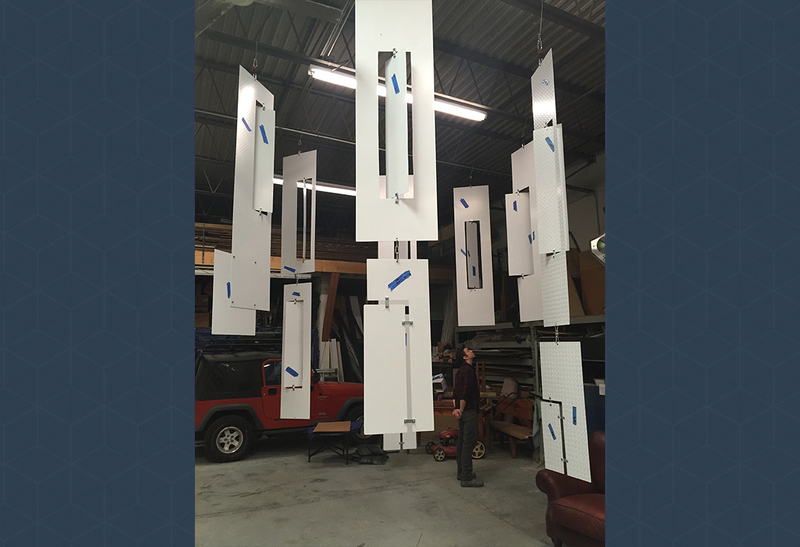 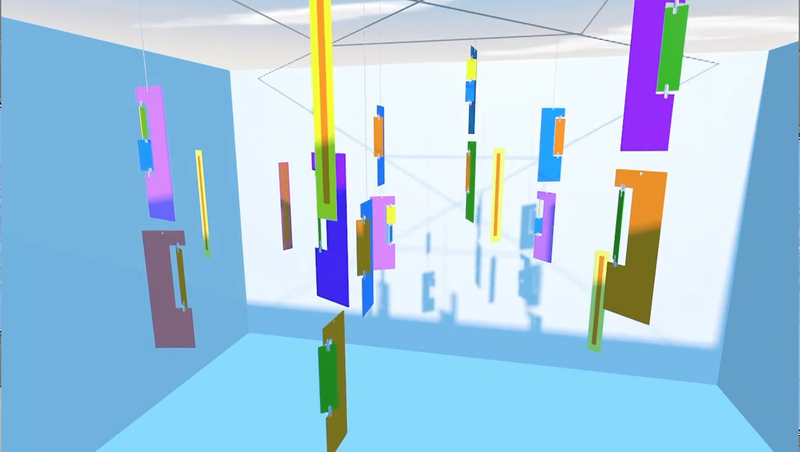 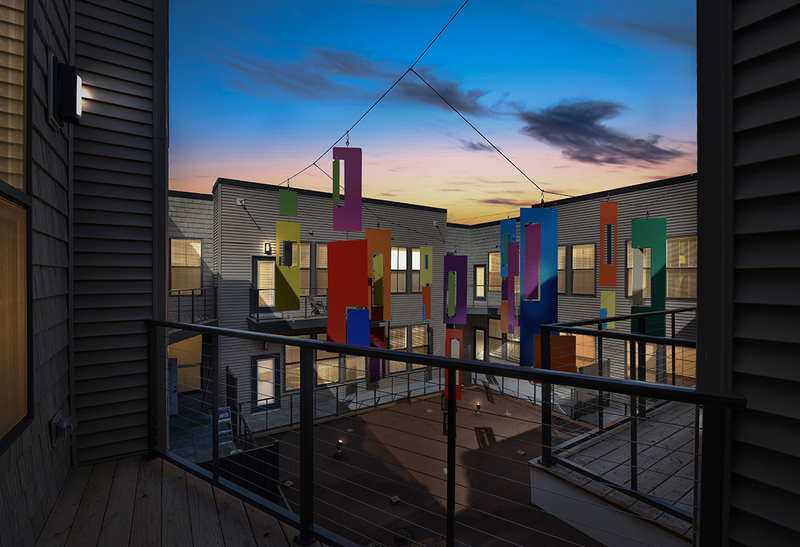 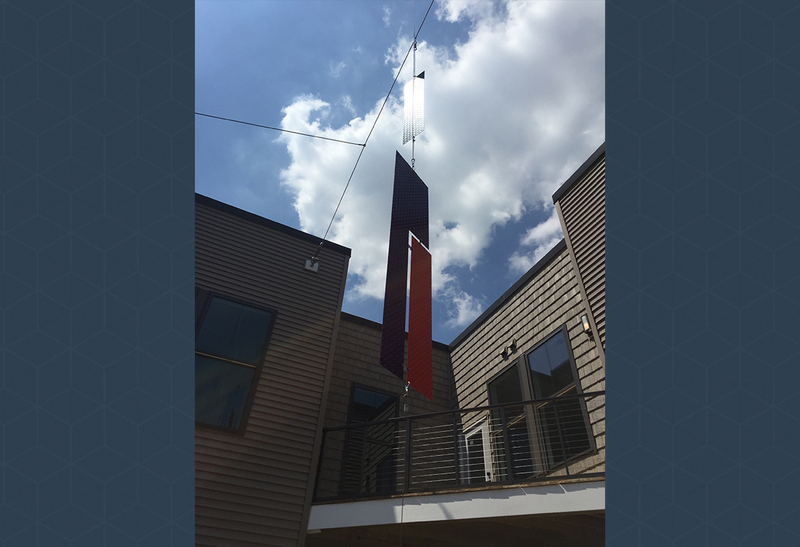 Curtis Elliott Designs Ltd was commissioned by Metropolitan Holdings to create a fully functioning mobile sculpture for the courtyard of their new apartment complex in Grandview, Ohio. 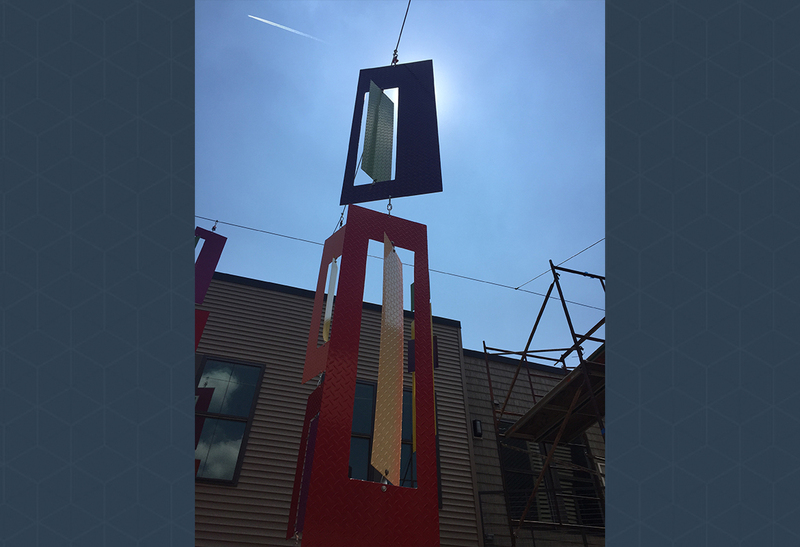 The design process went from scale models and digital light studies to building full scale prototypes before installing the final work. 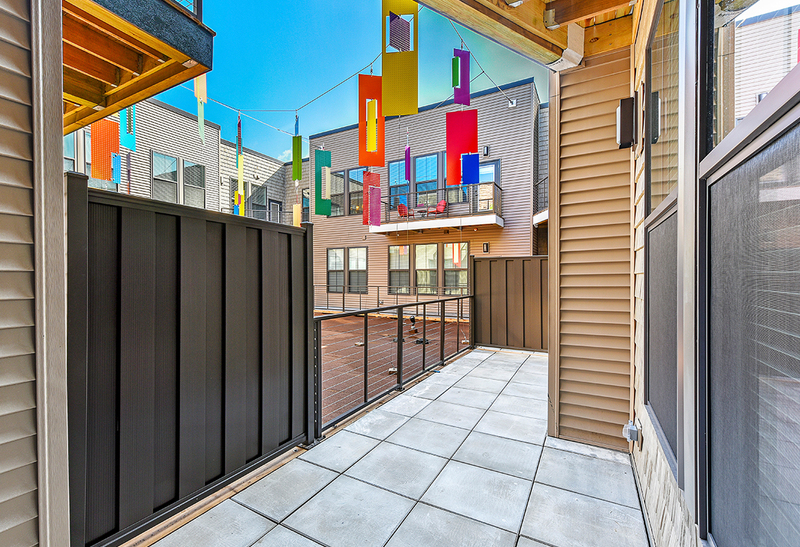 It also required R&D to minimize the effect of wind currents and other environmental factors in the open courtyard.